Corey Peck and Steve Peterson's work in applying system dynamics to global trade in polysilicon for solar photovoltaics in order to investigate the energy security of renewable energy supply chains was recently publish in Sustainability (January 2018). Renewable energy, produced with widely available low-cost energy resources, is often included as a component of national strategies to address energy security and sustainability. Market and political forces cannot disrupt the sun or wind, unlike oil and gas supplies. However, the cost of renewable energy is highly dependent on technologies manufactured through global supply chains in leading manufacturing countries. The countries that contribute to the global supply chains may take actions that, directly or indirectly, influence global access to materials and components. 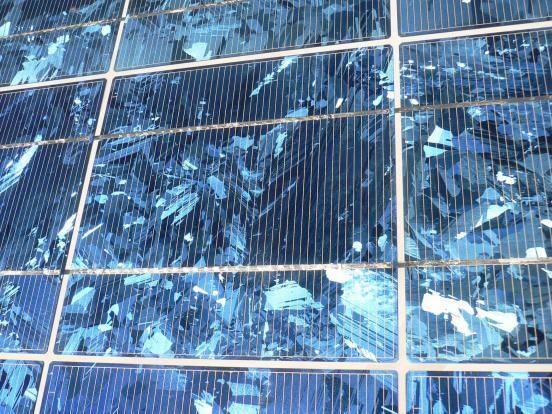 For example, high-purity polysilicon, a key material in solar photovoltaics, has experienced significant price fluctuations, affecting the manufacturing capacity and cost of both polysilicon and solar panels. This study developed and validated an initial system dynamics framework to gain insights into global trade in polysilicon. The model represents an initial framework for exploration. Three regions were modeled—China, the United States, and the rest of the world—for a range of trade scenarios to understand the impacts of import duties and non-price drivers on the relative volumes of imports and domestic supply. The model was validated with the historical case of China imposing an import duty on polysilicon from the United States, the European Union, and South Korea, which altered the regional flows of polysilicon—in terms of imports, exports, and domestic production—to varying degrees. As expected, the model tracked how regional demand shares and influx volumes decrease as a duty on a region increases. Using 2016 as a reference point, in the scenarios examined for U.S. exports to China, each 10% increase in the import duty results in a 40% decrease in import volume. The model also indicates that, under the scenarios investigated, once a duty has been imposed on a region, the demand share from that region declines and does not achieve pre-duty levels, even as global demand increases. Adding additional countries and other components in the photovoltaic supply chain (panels, cells, wafers) to this model could enable policymakers to better understand the relative impact of trade measures across the entire photovoltaic module manufacturing supply chain and the conditions that encourage industry evolution and competitiveness.